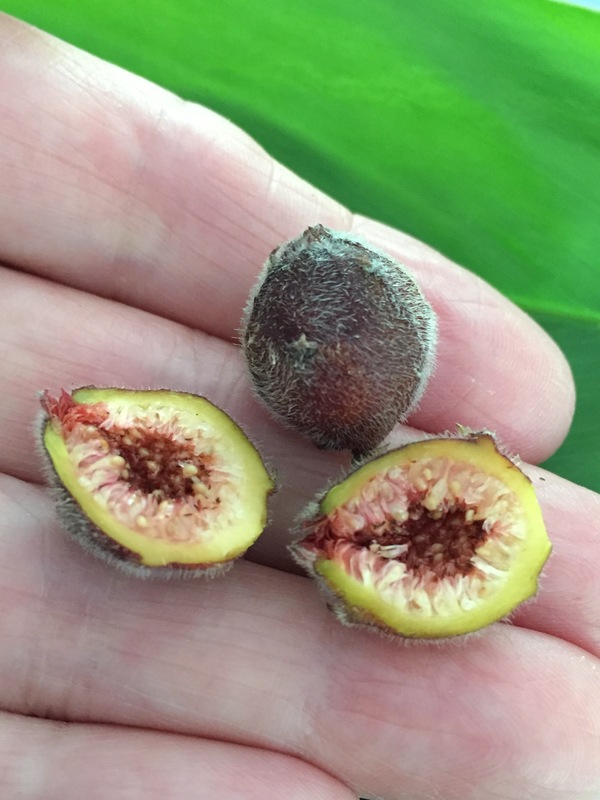 I’d love to be able to say that eating “home grown” Sandpaper figs was a delicious bush tucker foodie experience … but sadly, it wasn’t. Not that they weren’t interesting – slightly sweet and fibrous with a definite hairy mouthfeel (maybe I should have peeled them?). And I’d certainly eat them if I was lost in the bush and waiting for a chopper to respond to my distress call … But I’m happy to leave them for the birds to enjoy. Not the biggest figs in the world! 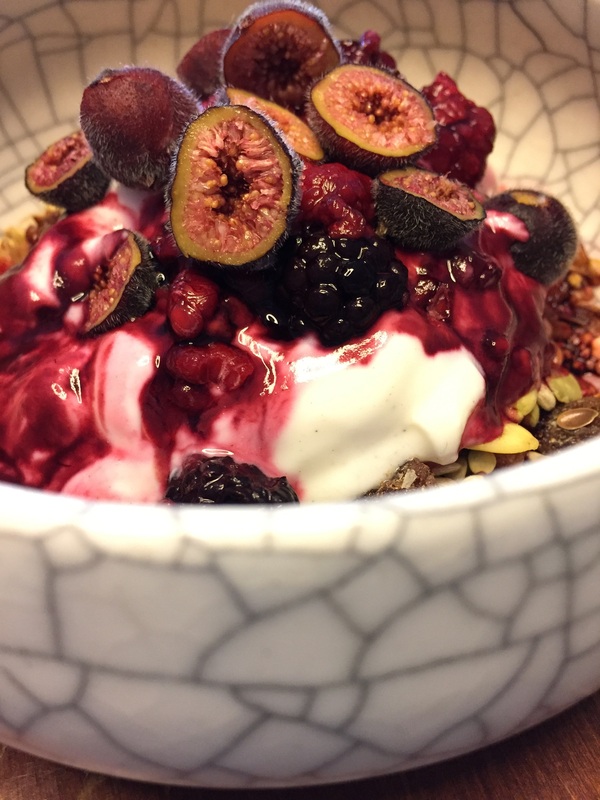 They are also quite photogenic, both in their natural state in the bush and on the top of an Instagram-like breakfast bowl. OK – so I couldn’t help myself. But without the tweezers or the patience, my effort is definitely “Not Quite Instagram”. and the other a medium sized tree with attractive bark and fruit which grows on the trunk. The fruit stays green and never seems to ripen. Both appear to be Ficus coronata, so it’s possible that the tree is male and the shrub is female. As they are separated by about forty metres, you might think that this would pose a problem … but no, they are pollinated by a fig wasp. Clever. Traditionally, aboriginals use the fig leaves to polish their wooden implements, and I can well imagine this working, as a handful of leaves rubbed on your skin would probably remove more than just the dead cells. A case of extreme exfoliation.